Iroc and So Can You! 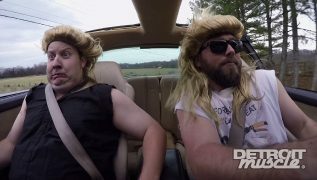 The guys squeeze their budget and also do some free fixes to freshen up the budget Iroc’s interior, plus a road-trip test drive of the 2016 Camaro. 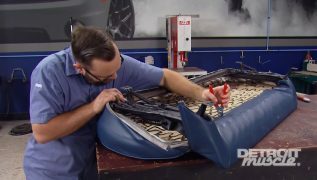 Learn how to make a 50-year old Mustang handle like a late model pony. Learn a low-buck way to rescue faded, nasty paint. Also, the budget IROC goes for a drive. 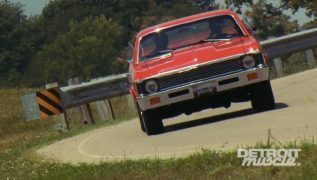 A ’72 Nova gets the functional cold-air hood it needed from Chevy, plus new bumpers, trim and glass. 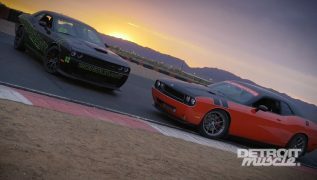 Modern Challenger receives bolt-in suspension upgrades, track-capable brakes, and an IRS to handle mega horsepower. 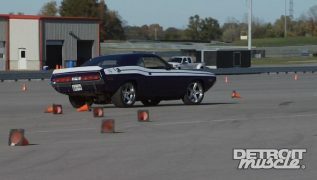 The Detroit Muscle crew stuffs a twin-turbo Hemi stroker into a late-model Challenger to make monster power. 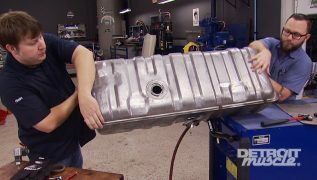 Marc and Tommy finish up the twin turbo install on their Challenger, then get the rest ready for its racetrack debut. 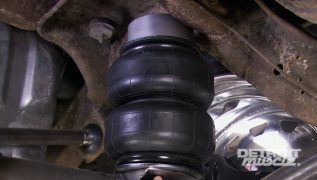 The Detroit Muscle crew puts the spurs to a brand new Camaro SS with a forced induction install for big horsepower gains. 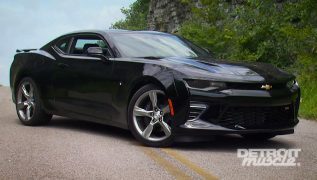 The guys upgrade a 2016 Camaro SS with nimble suspension parts, brakes, and wheels.